Daniel B. Harris is a member of our Estate Planning & Probate and Tax Advice & Controversy groups. He is also instrumental in the success of our group that focuses on Planning for High Net Worth Families with Closely Held Businesses. He represents clients in complex estate planning, tax planning, probate, and business matters. Dan focuses on helping clients identify personal and business succession goals for their family, then creates an integrated estate and business plan to achieve those goals. Often this type of planning may include creating Revocable and Irrevocable Trusts with detailed provisions governing who is in control of the assets and under what rules and restrictions those assets are distributed to children and future generations. It may also include designing vehicles to reduce Estate Taxes or provide liquidity for the payment of Estate Taxes, including the creation of Irrevocable Life Insurance Trusts, the sale and/or gift of assets to an Intentionally Defective Grantor Trust, the use of Private Foundations and Charitable Trusts, and the administration of Trusts and Estates. This type of planning may involve creating or recapitalizing closely held businesses with voting and non-voting units that are properly structured to pass assets in a tax-efficient manner to future generations. Finally, Dan works with our High Net Worth Families to create Florida Family Trust Companies that may manage the family’s assets and serve as Trustee of their Trusts in perpetuity. Creating a Family Trust Company requires working with the family to determine how best to structure the Board of Managers so that it may succeed in stewarding the family’s wealth for generations to come. 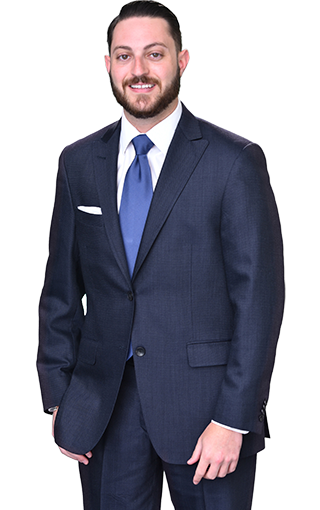 Dan was a former legal assistant with the Eighth Judicial Circuit’s Probate Division in Gainesville, Florida, giving him detailed estate planning knowledge from the perspective of judicial proceedings. In addition, he brings experience in private practice from Sarasota, Florida, where he also represented clients in matters involving estate planning, tax planning, and business planning. A graduate of the University of Florida Levin College of Law, Dan earned the Estates & Trusts Practice Certificate and the Environmental & Land Use Law Certificate. He also holds an advanced law degree, an LL.M. in Taxation, from the University of Miami School of Law. In law school, Dan was a member of the Trusts & Estates Law Society, Environmental & Land Use Society, Jewish Law Students Association, John Marshall Bar Association and served as a Student Panel Assistant for the Public Interest Environmental Conference. In addition, he studied International & Comparative law abroad in Costa Rica. Dan holds a Bachelor of Arts degree, with honors, from the University of Florida. He is also the author of two articles on taxation, published by The Florida Bar, and he has served as a judge at the National Tax Moot Court competition sponsored by The Florida Bar Tax Section. Dan is admitted to the Florida Bar, where he is a member of the Real Property, Probate and Trust Law Section and the Tax Section. He is also a member of the American Bar Association, and its Section of Real Property, Trust & Estate Law and Section of Taxation. University of Florida (B.A., with honors, in Criminology, 2008); University of Florida Levin College of Law (J.D., 2011); University of Miami School of Law (LL.M. in Taxation, 2012). The Florida Bar (Member, Real Property, Probate & Trust Law Section and Tax Advice & Controversy Section); The American Bar Association (Member, Section of Real Property, Trust & Estate Law and Section of Taxation); Central Florida Hillel (Member, Board of Directors, Chair of Governance Committee, and Member of the Event Committee). Refreshing Income Tax Basis Through The Use of Powers of Appointment and Lifetime Gifts/Sales, Daniel B. Harris & Javier Chipi, The Florida Bar Tax Section Bulletin, Vol. XXXV, No. 3 (Fall, 2018). Taxation of a Profits Interest in Partnership, Daniel B. Harris, The Florida Bar Tax Section Bulletin, Volume XXIX, No. 1 (Winter, 2013). Comments to Proposed Circular 230 Amendments, Daniel B. Harris & Michael A. Lampert, The Tax Section of The Florida Bar (November 2012). Handling Contributions and Tax Deductions, Orlando, Florida, June 2013. Speaker at Continuing Legal Education course for attorneys on topics related to tax exempt organizations. The Probate Process from Start to Finish, Melbourne, Florida, November 2013 and May 2014. Speaker at the National Business Institute for attorneys on topics related to spouse’s elective share, intestacy laws, litigating in probate court and closing the estate. Speaker at the National Business Institute on the topics of revocable living trusts, trusts used for tax reduction, grantor trusts, estate planning for the disabled and ethical considerations directed to attorneys, accountants, trust officers, financial planners and others. December, 2014.